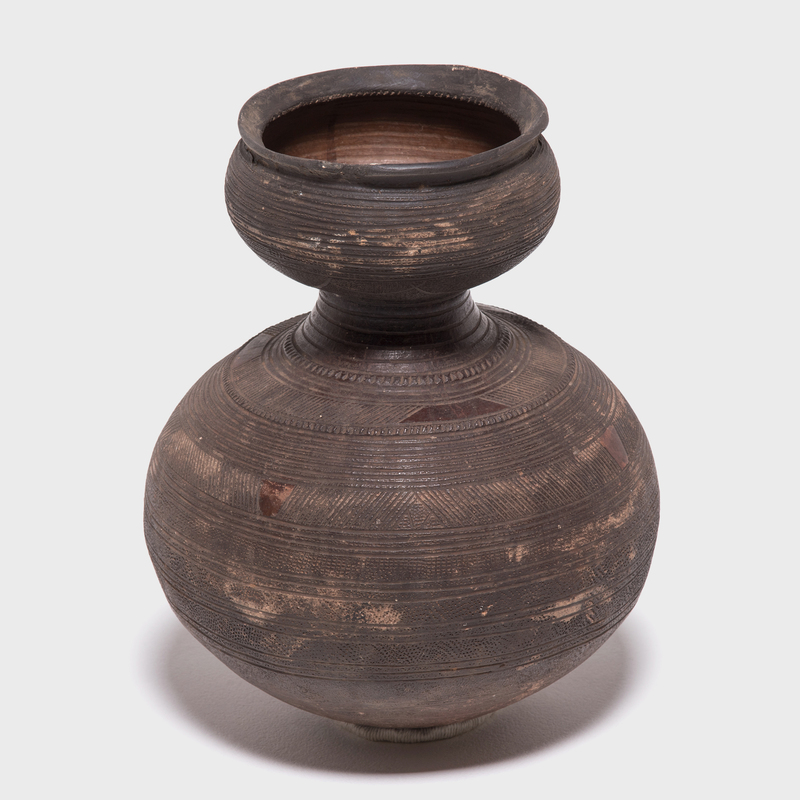 The Nupe people of Nigeria were touted as some of the finest ceramicists in Africa. 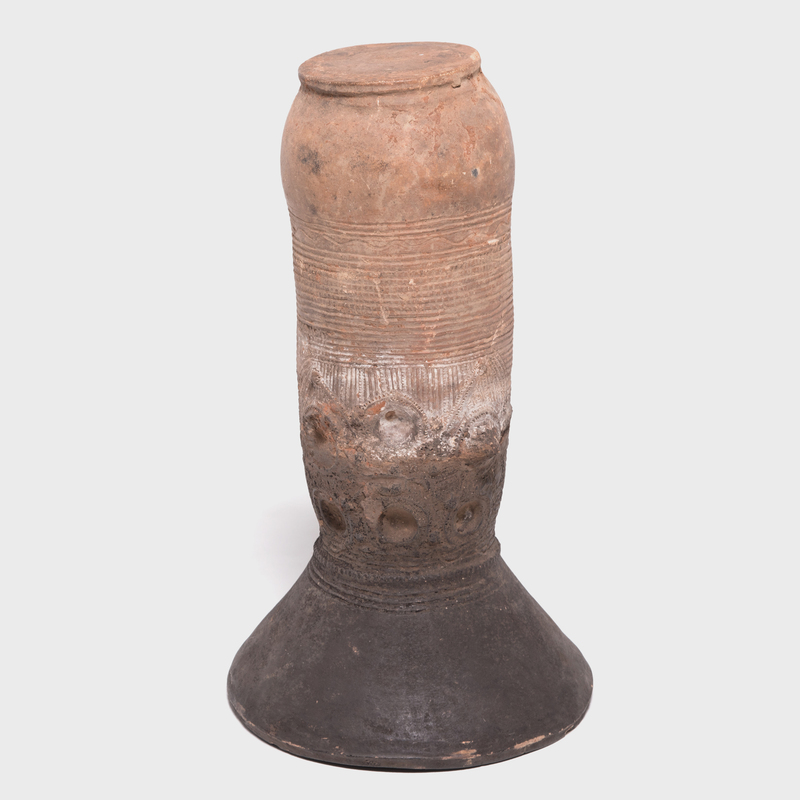 Everyday objects, like this elegant, cylindrical vessel support, received detailed attention. 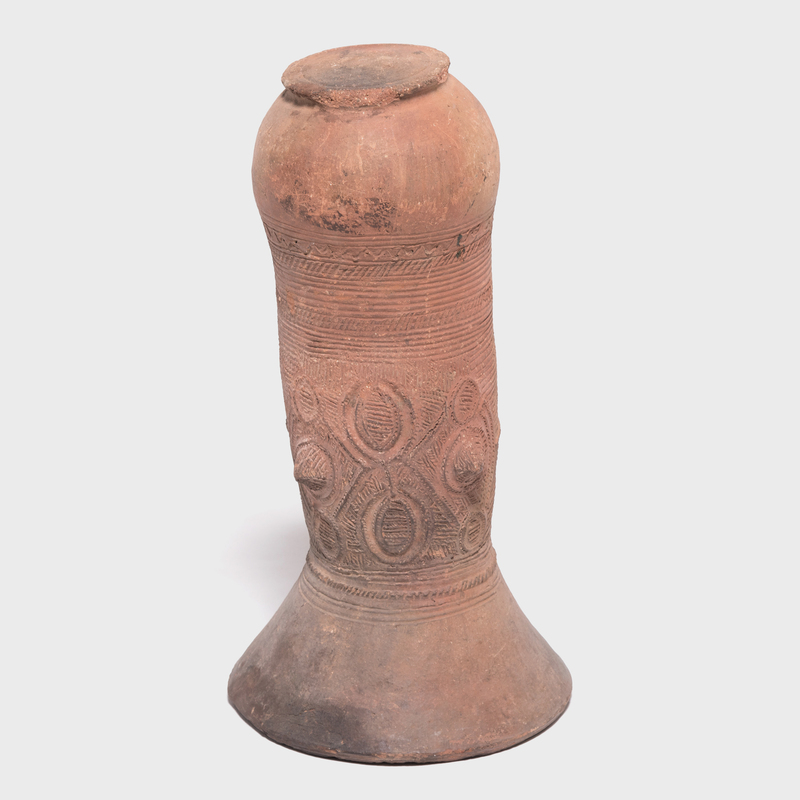 This flaring terra cotta form would have been buried halfway in the ground, in a Nupe home, and used as a a stable base for a stack of traditional round pots. 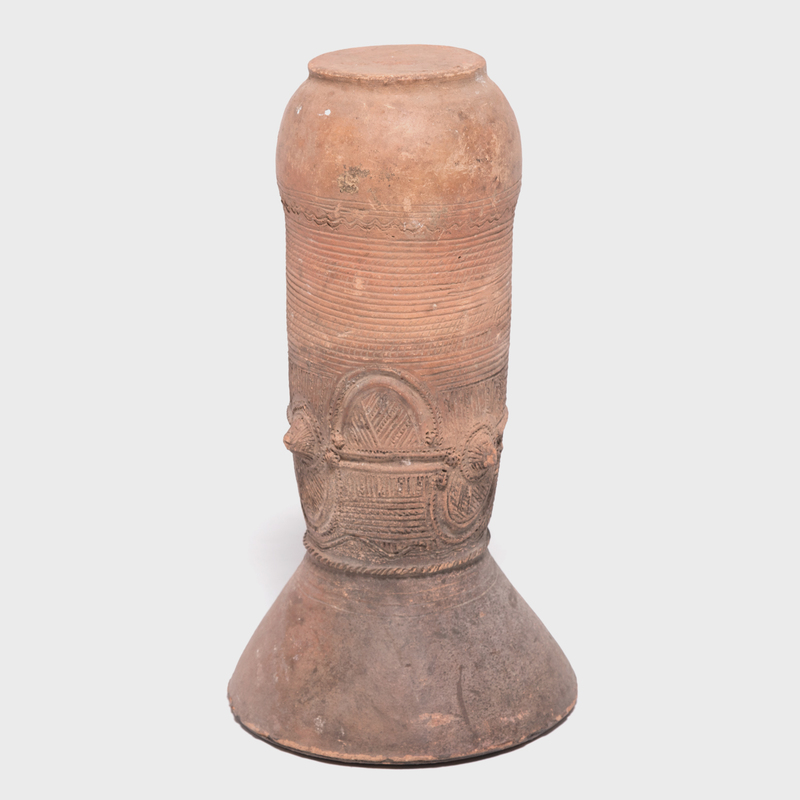 Usually, whole walls of supports and stacks of vessels lined the inside of houses. 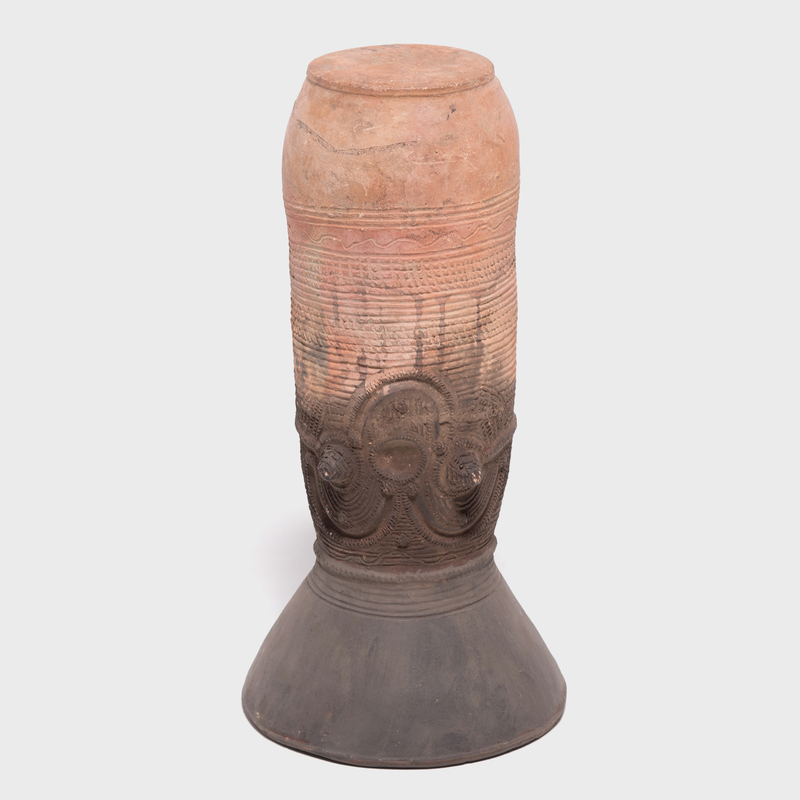 The top portion of this sculptural work is darkened with smoke from cooking fires and the inside rim shows wear from having been stacked with round bottom vessels.